The Blue Hour is that part of twilight, each morning and evening when the sun is below the horizon and blue rays of light are scattered in the atmosphere. But, the blue hour is more than just a time period; it’s a feeling of comfortable contemplation and of transition, from day to night and from light blue to black. This ribbon of not quite darkness demands of us the stability of tripods, the carefulness of remote shutter releases and the discipline of long exposures. 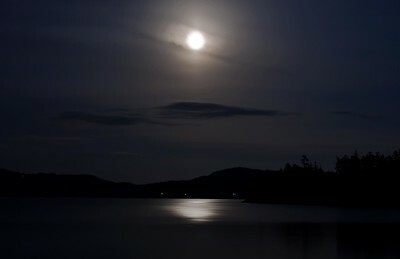 Moonlight on Sooke Basin. Despite the brightness of the moon, this required a tripod and a 30 seconds exposure. 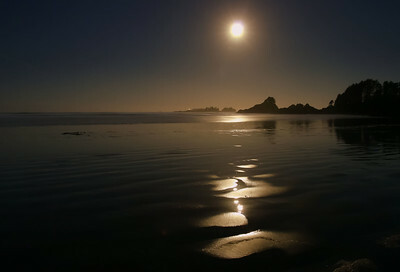 My first thought was that someone was shining a spotlight from the lodge down onto the waves of Cox Bay. It was November and early in the morning, just after 5:00. 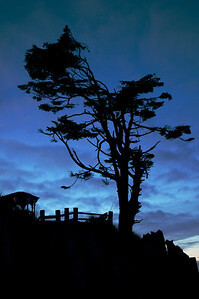 From the dark of our bedroom at Long Beach Lodge, I had happened to glance out the window. What was going on? Why was there so much light? Approaching the window to look closer, I had my answer. 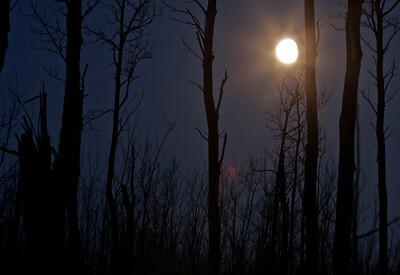 The light of the full moon, hanging low in the night over nearby Sunset Point was shining into our bedroom. The darkness of night and soon...the brightness of day. - Elk Island National Park. 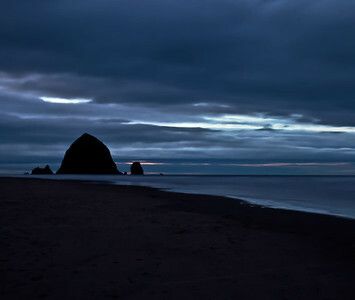 Haystack Rock at Canon Beach Oregon. 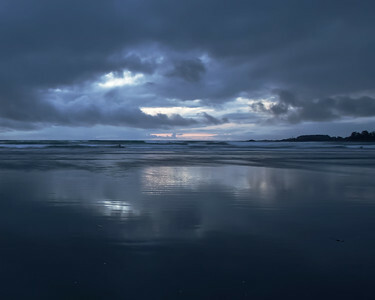 Chesterman Beach, near Tofino, B.C. 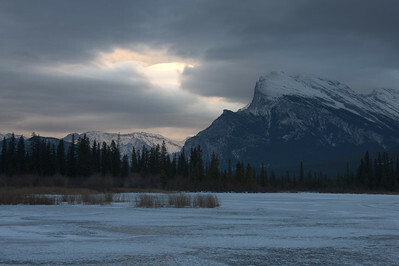 Mount Rundle and the blue hour. 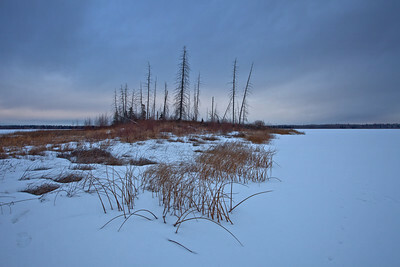 Blue Hour and Lamont Island on Astotin Lake in Elk Island National Park.